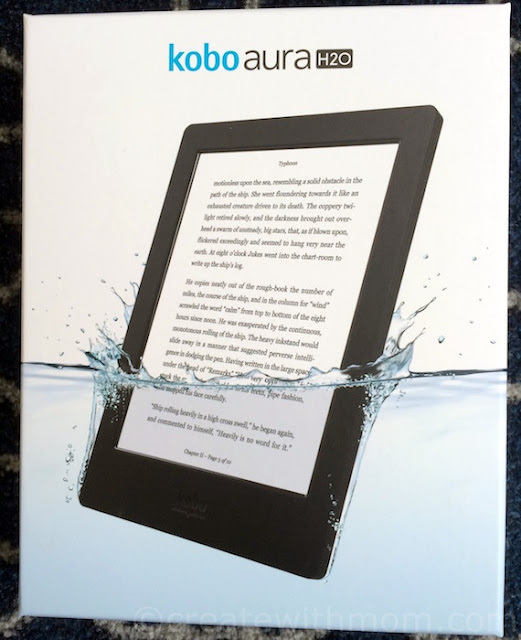 We love using the Kobo Auro H2O in our home because it is a convenient way to enjoy reading at our convenience from anywhere! 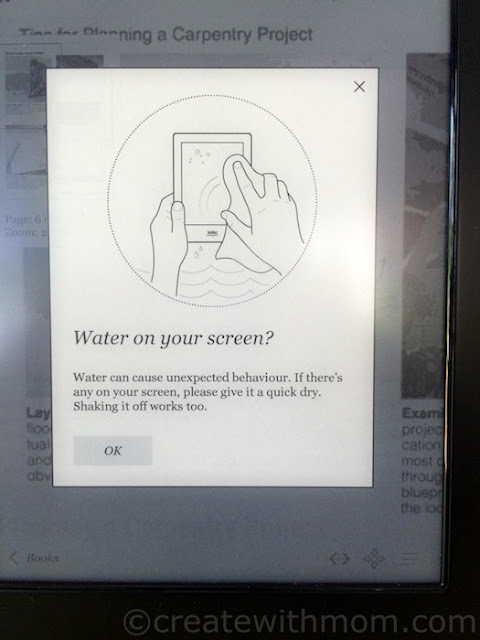 With active days sometimes it is hard to find the time to read, but this has changed for my husband and I since we started using the Kobo Aura H2O. 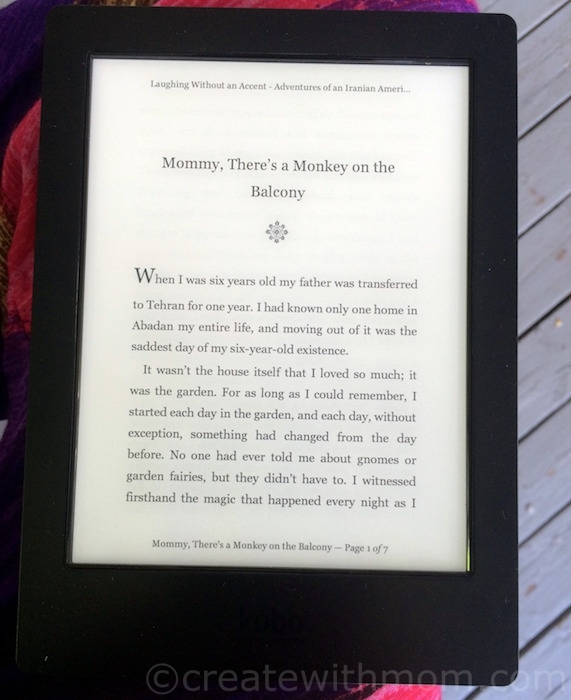 The Kobo Aura H2O has unique features such as waterproof, anti-glare, and dust proof, which makes it the most convenient way to enjoy reading all day and night. Reading outdoors on this device is fantastic because of its dust proof design and anti-glare display. 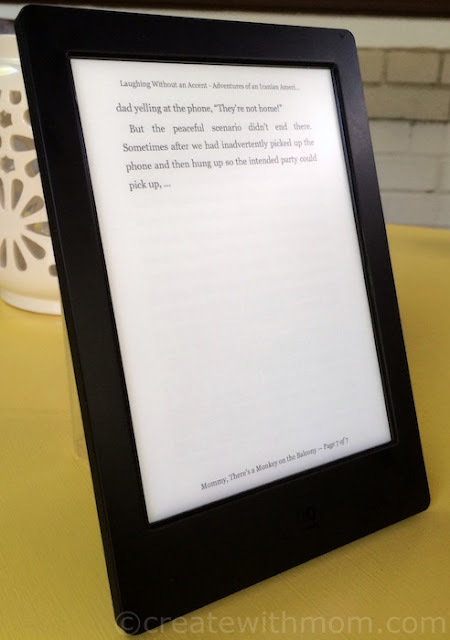 We love that we don't have to strain our eyes when we read in different lighting, since the fully adjustable ComfortLight directs the light at the page and not our eyes. We love how it showcases text and high-resolution images beautifully in black and white. We like that we can quickly and smoothly turn the pages while reading. The high performance HD display with 265 dpi, and the spacious Carta E Ink 6.8" touchscreen gives us a wonderful print-on-paper experience. 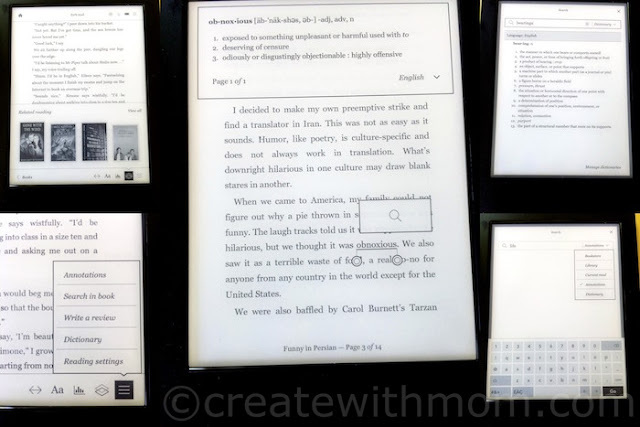 I appreciate that there are 24 font sizes, with adjustable font sharpness and weight settings, so we can truly adjust the fonts to our preferred size - this is something we can't do with paper books. The Kobo Aura H2O has 10 fonts that displays each letter with crisp, clear perfection that lets us read exactly the way we want. I like that we can adjust margins, highlight passages, and write notes or use the built-in dictionary at the touch of a finger while reading, so we don't need paper or pen. 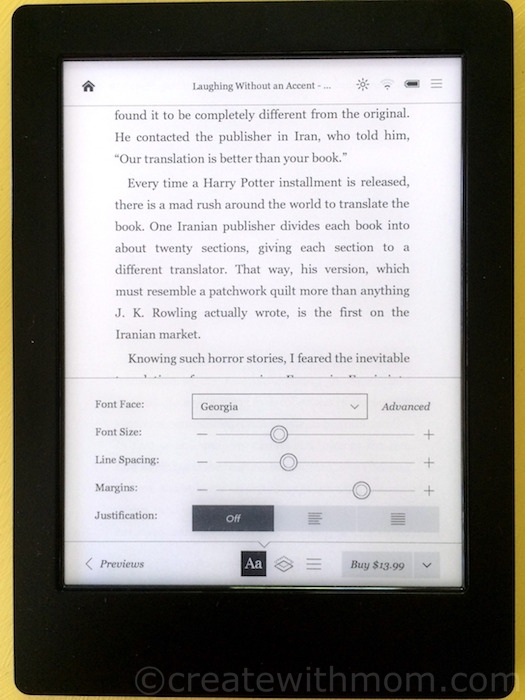 We love that we can set up accounts for each member in our family so each of us can have our own collection of books, as the Kobo Aura H2O has 4GB of onboard storage. We can expand the storage up to 32GB with a microSD card. We have been enjoying reading on the Kobo, and excited that we can take it on our upcoming road trips this summer, so it will useful for everyone in our family. All the unique features of the Kobo Aura H2O makes it a wonderful travel companion. I like that the catalogue has more than 5 million titles across all genres including titles from the past and newly released books. This way we can instantly preview and purchase books. 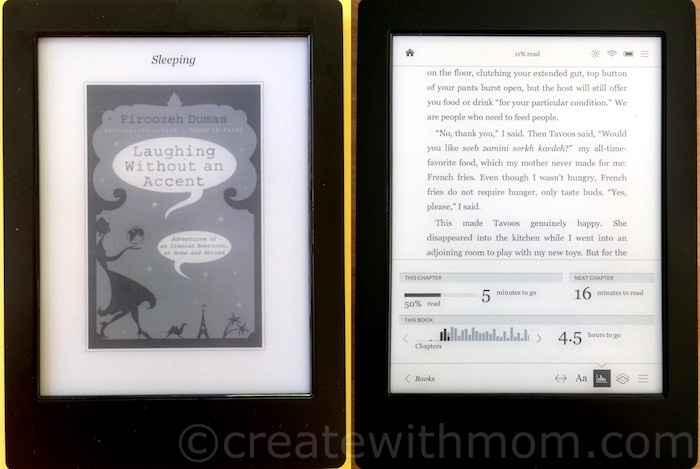 If you have another Kobo device or account, we can connect the libraries and sync it, this allows us to read the books in either of the Kobo readers. Kobo gives new customers a $5 credit when they sign up for a Kobo account. Kobo Aura H2O has a battery life of up to two months, so we don't have to worry about charging it often. I believe reading is an inspiration, and it can transform us to many places - so getting the opportunity to pick up the Kobo and read whenever we get time is relaxing and adventurous for us. 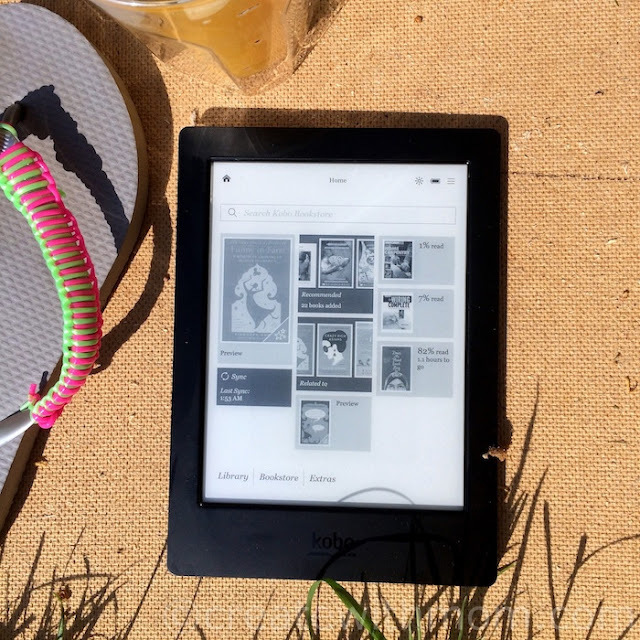 If you are in Canada and would like to win a Kobo Aura H2O in a summer themed prize pack enter the giveaway before June 30th. Please leave comments and follow my social media networks. PTPA is responsible for choosing the winner and posting the prize. All rights reserved on photographs and written content Createwithmom © 2010 - 2016. Please Ask First Disclosure: I am part of the PTPA Brand Ambassador Program with Kobo and received perks as part of my affiliation with this group. The opinions on this blog are my own. I am planning on reading The Hot Zone andVirus Hunters. I love weird books about Level 3 biohazards. Love to read and this would fit in my bag to read on train to and from work. My summer list consists of mystery novels, various authors. I will be reading The Widow and would also like to read The Good Girl and Silent Wife. have a few Chicken Soup for the Soul books to read. The new Harry Potter is something I'd love to read on this! I will be reading Manhood for Amateurs by Michael Chabon. I'm looking for to reading, “The Rainbow Comes and Goes” by Gloria Vanderbilt and her son Anderson Cooper. I haven't decided yet, but a good romance would be in order. I would to read the new Harry Potter book. I am planning to re-read an enjoyable, topical novel: GLASS SKY by Niko Perren. My summer reading list starts with The Lion, The Witch and The Wardrobe before we see it at Stratford. So many books so little time....Me Before You, Wildflowers, Harry Potter and the Cursed Child....the list goes on. I really want to find time to read the room! Shopaholic to the Rescue by Sophie Kinsella . Favourite series of all time . I Love reading anything by John Grisham and James Patterson.This would be so lovely to win. I want to read the new Harry Potter and Of Mice and Men. I'm on a Doris Lessing kick. I am dying to read Jay Kristoff's Nevernight! And Ruth Ware's The Woman in Cabin 10.